What are the Ten Most Popular Uses for Bean Bags? When most people think of bean bags, they envision chairs for larger ones and tossing games for smaller ones, but these items of simple design are incredibly versatile and have many favourite uses. The first bean bags began as small pouches filled with dry beans, hence the name, or dried grains, such as corn or rice. Later, after the invention of plastics, a wide range of fabrics, including polyester and nylon were filled with polystyrene beads. However, the heavier filling material may still be used when the bags serve specific purposes, such as those used by law enforcement personnel. The most common use for a bean bag is to make furniture from it. In the past, bean bag furniture consisted of a simple spherical bag filled with lightweight beads, but today, a variety of functional furniture is constructed with this versatile product. Depending on the size of the bean bag and the size of the person, a spherical bag could be used as a beanbag chair, love-seat or lounge. The fabric is now often stitched from a pattern that can create a specific type of furnishings, such as an armchair, a sofa with armrests or even a full-size bed. These pieces of furniture are extremely beneficial because the bag will shape itself to each person’s body to provide maximum support while remaining amazingly comfortable. Small bags filled with any of several materials are often used for games. One of the most popular of these is the bean bag toss. Several versions of this game exist. One form uses a box with several holes in it. Tossing the bean bag in the large holes is worth a few points while the smaller holes can earn players high points. Also, a bean bag can be used as a Hacky Sack, or foot-bag, for several games reminiscent of football. Because most of the materials commonly used to make bags are water resistant and the beads float, they can be used as recreational floatation devices in pools or other bodies of water. Certain types may also be employed as water-safety devices, but recreational floats should not be relied upon as safety equipment. A bean bag makes the perfect bed for cats, dogs and many other pets. It must be constructed of heavyweight material and sewn tightly, but when it is done right, the bean bag makes a very comfortable and long-lasting pet bed. When filled with natural materials, a bean bag makes an excellent radiant heating pad. Some of the different fillers that can be used include the following: rice, corn, wheat, beans, barley, oats, flax seeds and cherry pits. Also, you can add aromatic ingredients, including lavender, cloves, nutmeg, rose petals, cinnamon, peppermint oil and ginger. The bag can then be heated with dry heat from the microwave or oven on a low setting. The filler will hold the heat for an hour or more, and the bag can be spritzed with water to provide a little moisture. Photographers have long known of the logistical limitations of tripods, but only recently have they begun to discover that a tripod can be easily replaced with a bean bag. The bean bag can be manipulated into several forms for high shots or low angles, and it can go to many places where tripods can not. Police and other law enforcement agencies often use non-lethal rounds for standard shotguns made with fabric pillows filled with lead shot. When fired, the lead shot stays in the bag and spreads the force of impact over a large area of the target. If you’re on the receiving end of this non-lethal ammunition, it will cause pain! However, it only causes short-term trauma that will immobilise people without permanently harming or killing them. Several companies are now making safety helmets with bean bag cushioning. The most widely used cushion is known as the Vaco12 system. These cushions are filled with millions of round beads that help to disperse the force of impact. Vaco12 helmets have been used for several years in medical devices, but they are now employed in ski helmets and bicycle helmets. Bean bag furniture is extremely helpful and therapeutic for people with autism. Autistic people, especially children, find it useful to have the steady, even pressure of the beads on their bodies to help them concentrate and relax. Ever wondered what the clowns at the circus are using when they juggle? Juggling balls are often just small bags filled with rice. They can easily be made at home with if you have some spare fabric! 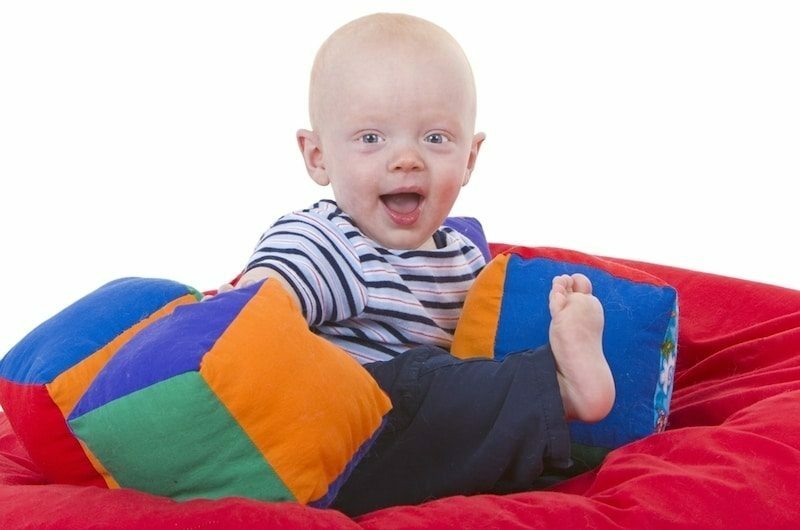 Bean bags can be used safely with children to help develop hand-eye coordination and prepare them for playing sports or engaging in other activities. Are Bean Bags Good for Dogs?